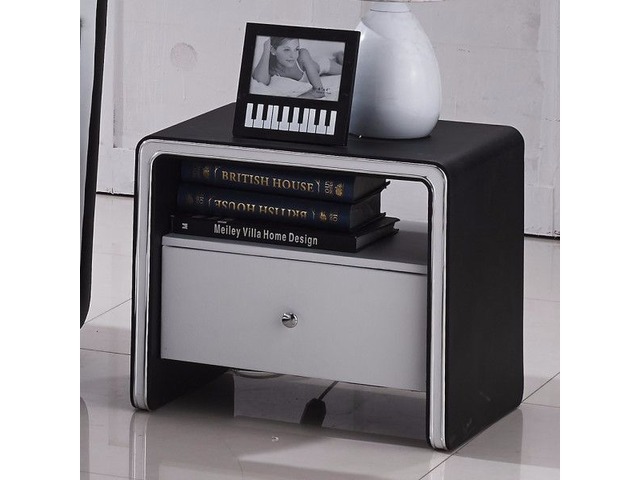 Update your bedroom decor with the beautiful black/white contemporary nightstand. 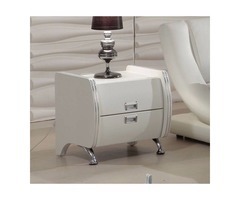 This stand features a one-drawer contemporary faux leather design. 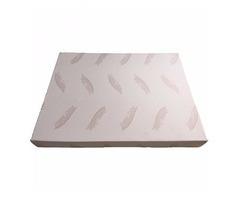 The clean, unadorned appearance creates a feeling of simplicity and calmness.